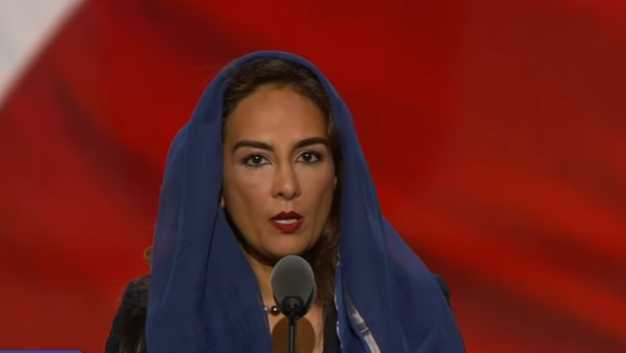 CLEVELAND, Ohio — On the same day that the founder of “Muslims for Trump” delivered a benediction at the Republican National Convention, a Sikh woman from California also took the stage to present a prayer on behalf of Sikhism. Harmeet Dhillon, an attorney and soon-to-be national RNC member, took to the podium on Tuesday shortly before Donald Trump was officially nominated as the party’s presidential candidate. “It is honor as a Sikh American and the vice chair of the California Republican Party to share a prayer from my faith tradition, Sikhism, the fifth largest religion in the world,” she said to those gathered. Sikhism was founded in the 15th century in India over disagreements with the Hindu religion’s adherence to a caste system, as well as a rejection of Hindu idols. Sikhs believe that all religions lead to the same god, and that the various religions are simply different ways to reach that god, or Waheguru. Dhillon told reporters following her appearance that she is a Trump supporter. “Donald Trump’s message is about unity, coming together as a country, and talking to each other,” she said. Dhillon also noted that the RNC included diverse religions. “I’ve seen reporters make such a big deal about the lack of diversity here, while studiously ignoring the fact that you had a Sikh prayer opening the events yesterday then you had a Muslim prayer closing them,” she told AirTalk radio on Wednesday. As previously reported, Tuesday night’s convention concluded with a benediction from Sajid Tarar, the founder of Muslims for Trump, who also referenced the Islamic religion during his brief speech, citing a quote from its founder, Muhammad.